The Gaples Institute for Integrative Cardiology is presenting a seminar on health and wellness called “You As Medicine: a Community Event” on Wednesday May 25, 2016 from 7-9 pm at National Louis-University in Skokie, Ill.
Nesita Kwan, former NBC medical journalist and current Gaples Institute Advisory Board member, will present “So you think you can breathe?” The seminar is a playful, experiential approach to incorporating awareness techniques into our daily lives in a way that enhances health. Kwan's teaching credentials include work at the Replogle Center for Counseling and Well Being where her work led to a regular Tuesday night mindfulness group. 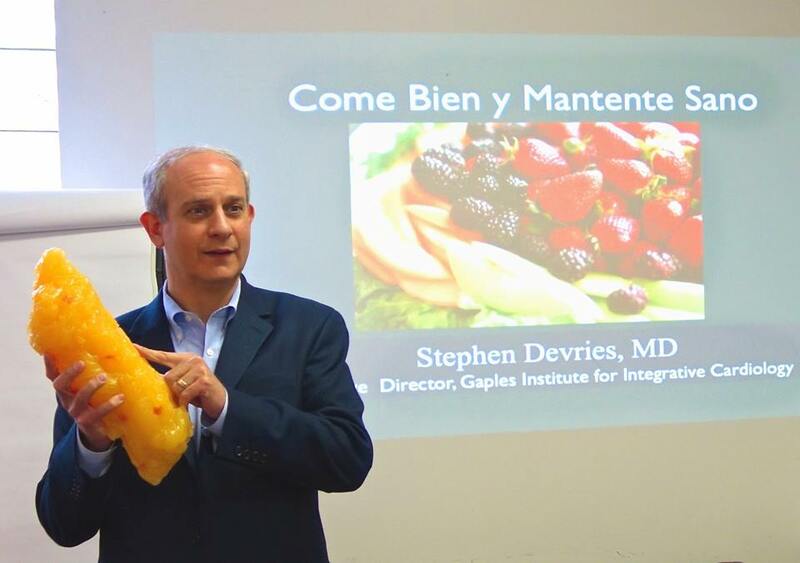 Stephen Devries, MD, executive director, Gaples Institute for Integrative Cardiology, will teach attendees how to empower themselves to achieve optimal health through an integrative approach to health and nutrition. “There’s a lot of exciting new science to share,” Devries said. Carol D’Anca, MS, CNS, LDN, integrative nutritionist, author, and managing director of “Food not Meds,” will examine historical trends in food consumption and suggest easy plant-based dietary changes to improve health. The seminar features a special Tai Chi break provided by instructor Gordon Lock. The Gaples Institute for Integrative Cardiology is a 501(c)(3) nonprofit with the mission to provide leadership in advocacy and education regarding the powerful role of nutrition and lifestyle changes for prevention of heart disease. We seek to save lives through education. The Gaples Institute intends to be recognized as the leading national provider of educational resources that empower health care professionals and the community to promote heart health through nutrition and lifestyle changes.